Give your eyes something to boast about with blinc Mascara - Dark Brown. 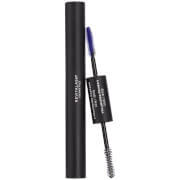 This mascara forms tiny tubes around each lash that can only be removed with the combination of warm water and slight pressure. No more harsh waterproof mascaras for you. Dark Brown is ideal for those who want a natural look with perfectly accented lashes. Ideal for those with sensitive eyes and contact lens wearers. 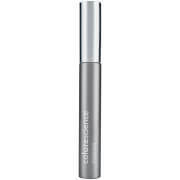 Apply as you would your normal mascara, starting at the base of lashes and working upwards. If you wish to apply a second coat, do so immediately as mascara will dry quickly. To rinse off, simply use warm water and light pressure. The mascara forms tubes around your lashes and will slide off easily. THIS IS GREAT AS IT LASTS ALL DAY AND COMES OFF EASY. NO SMUDGING. Much gentler on the lashes and doesn't smear or leave circles. Easily removed. Natural looking. I absolutely LOVE this mascara! I used it for several years, then sadly could not locate it for purchase until last month. Thank you SkinCareRx. I have sensitive eyes and delicate eyelashes, but this mascara does not bother me in any way. It does not seem to damage my eyelashes, and I like the natural look. If you want the dramatic look of multiple layers of mascara this may not be for you. If you like subtle coverage that does not damage your lashes, definitely give it a try. I will never use another brand of mascara as long as SkinCareRx continues to carry Blinc. I absolutely love Blinc Mascara. I used to purchase it at a local health food store, but had not been able to find it for over a year. I was so pleasantly surprised when I saw it on SkinCareRx. 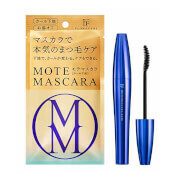 This is different than most mascaras in that it doesn't seem to damage my eyelashes. I think it looks great, but I am fairly conservative with mascara. If you are looking to have huge eyelashes using lots of layers of mascara, this is not for you. But, if you want to have healthy lashes that look like they are naturally long and dark, I highly recommend Blinc.